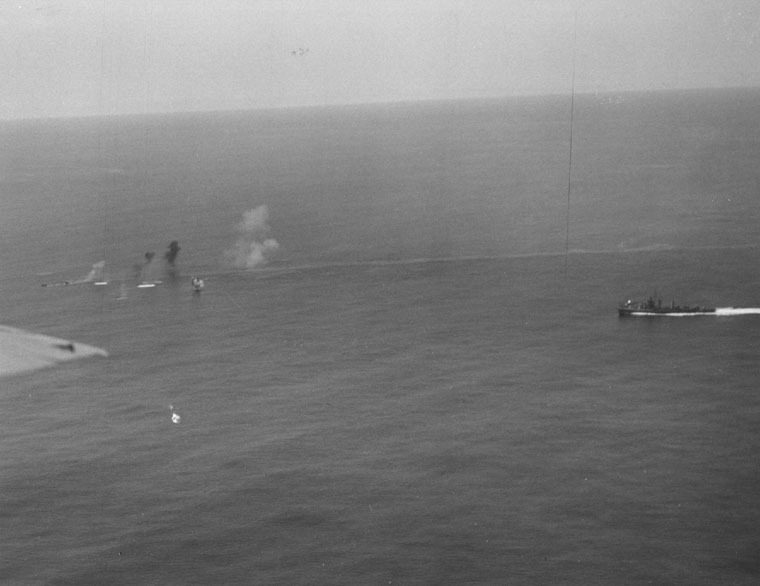 The picture shows U-801 under heavy attack from US Destroyers Corry and Bronstein and aircrafts from USS Core. 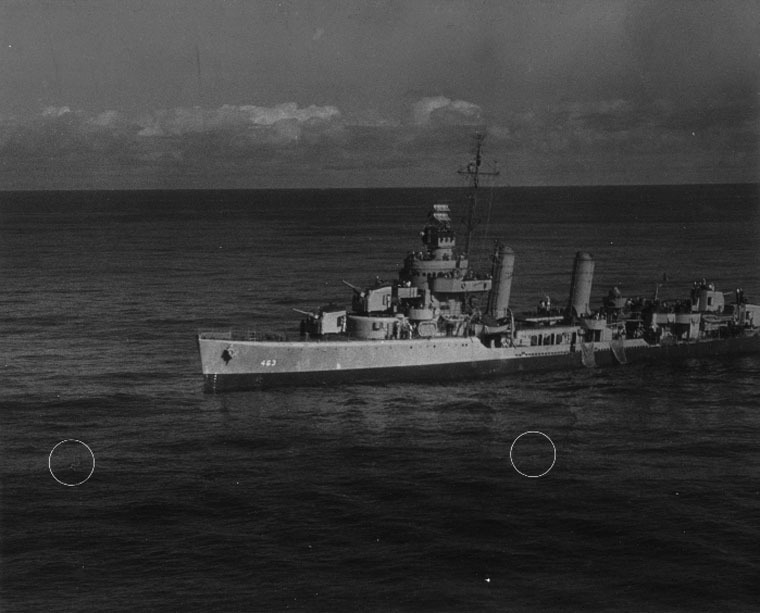 US Destroyers close in while the order is given to abandon ship. 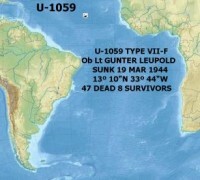 Water is flooding the Uboat. 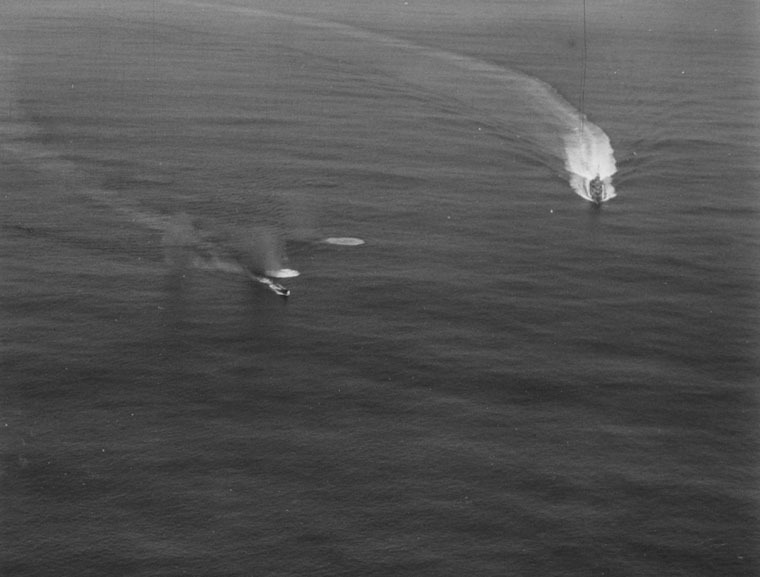 The photo clearly shows the bow is only visible while U-801 begins to plummet with 10 crewmembers. 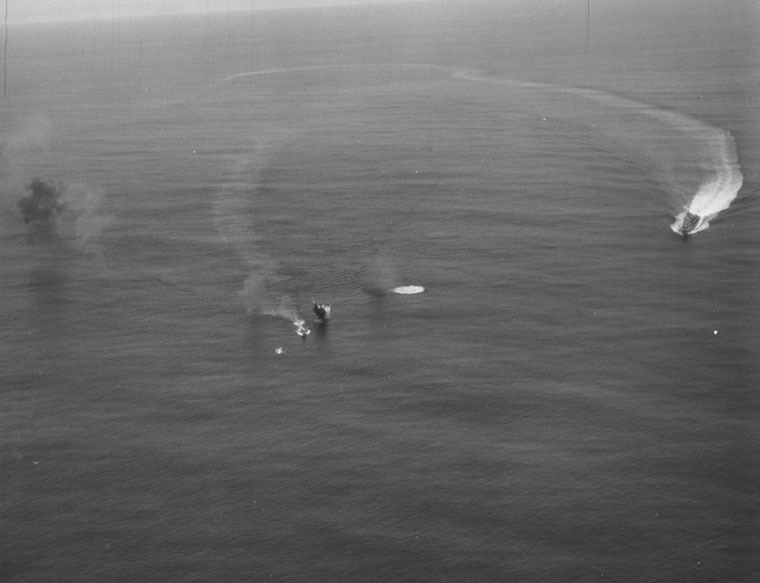 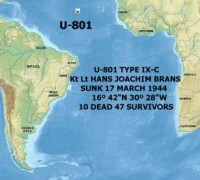 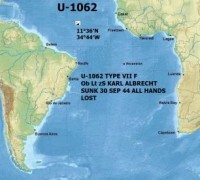 USS Corry approaches to rescue the survivors seen in the water. 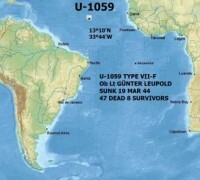 Several of them are wounded. 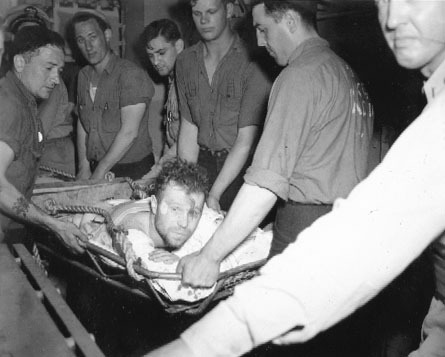 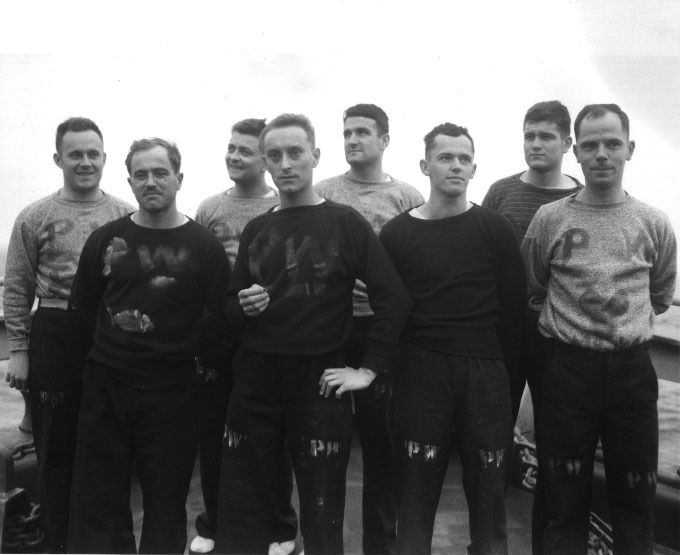 One German is carried aboard USS Corry to receive the first medical treatment.